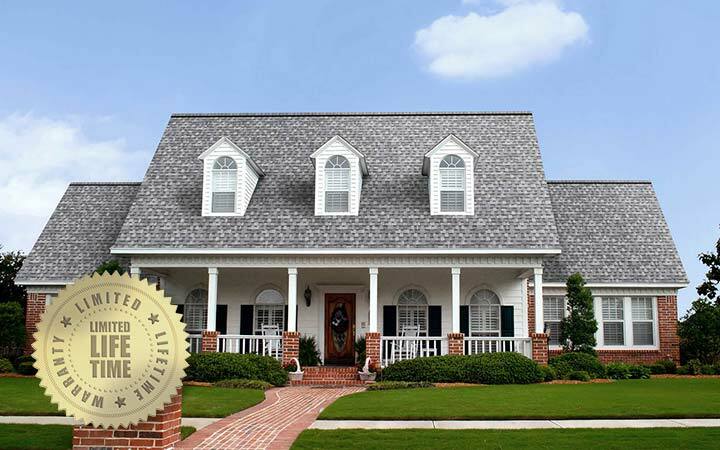 Owens Corning uses TruDefinition® Duration® Shingles that are specially formulated to provide dramatic color contrast and dimension to any roof. The difference between a good shingle and a great shingle is having SureNail Technology. Why? We get a lot of high winds and tornadoes here in Missouri, and the SureNail grip helps deliver 130 mph wind warranty performance with fewer nails than required by most competitors. In other words, your shingles won't rip out from their nails in high winds! By the way, we offer free estimates and free upgrades to Owens Corning Duration Shingles with SureNail Technology. Each season, the Pantone Fashion Color Report is paired with Owens Corning TruDefinition Duration Series Shingles to offer homeowners a “fashion-forward foundation” to help you discover an exterior for your house that represents your family’s unique style. "As the waves roll in and the breeze blows, sit back, deep exhale and let the sunshine warm your toes in the sand. The color Sand Dune helps create a sense of natural grandeur with a relaxed versatile medley of coastal hues. It combines elements of bisque beige, driftwood, shale and charcoal with a touch of light sky blue that paints a canvas of effortless elegance with a range of exterior palettes. Sand Dune is light and airy and very approachable—leave your cares behind and enjoy the view." We are a preferred contractor with Owens Corning, which gives us a dedicated representative if we ever have warranty issues. We get discounted pricing, which we can pass on to our customers, and they have been a household name since 1935! The TruDefinition Duration Shingles series offers a fabric nailing strip that makes for optimum wind resistance, and when we use 3 or more of their accessories, which we always do, we can offer extended warranties. The OC shingles we sell the most of are Duration and Oakridge, but we carry (or can get) all Owens Corning products and accessories for our market. We love the different color options, superior quality, extended warranty, and exceptional support from the OC team. Newer PostWhy Does Signature Exteriors Use Mastic? Older PostSometimes we need some help to keep our family comfortable and safe. This is why we now offer HERO: a great home improvement financing program.